Green plants emerging from a long winter's slumber lift the spirits. Some, like asparagus, also elevate our meals. 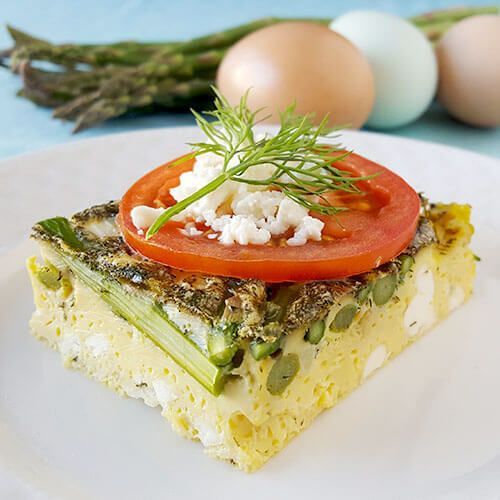 This Keto Breakfast Casserole with asparagus, feta, and dill is a simple, wholesome dish just as lovely for dinner as it is for breakfast! I was in my early 20s before I first tried asparagus, since my mom doesn't like it and never served it! I had no idea what to do with it, despite being vegetarian at the time. Since I love experimenting, I decided to cut it up, saute it in butter and garlic, and add it to spaghetti sauce. It was so good! Instantly I mourned the many years I was denied asparagus. As a result, my kids are welcome to try any foods, even if I don't like them. My daughter loves beets (I think they taste like dirt) and my son loves mushrooms (not my favorite at all). I love their curiosity about food and encourage them to try new things and be adventurous in the kitchen! Getting children involved in food preparation at an early age can be challenging but the rewards are so worth all the patience and cleanup involved. If you need ideas for how to get your kids in the kitchen, check out the Real Food Kids eCourse! Real, whole food ingredients are all you'll find in this dish. Fresh asparagus, pastured eggs, onions, garlic, raw cream, feta cheese, salt and pepper — that's it! The delicate flavor of dill pairs so wonderfully with the salty bits of feta; creamy, fluffy eggs; and spring-green taste of asparagus. Garnish with a bit of crumbly feta cheese, fresh tomato slices, and sprigs of fresh dill for a beautiful presentation. This breakfast casserole is fabulous for everyday breakfasts yet perfect for a fancy brunch. We've even enjoyed it for dinner along with venison sausage, fresh tomatoes, and a beautiful lettuce salad. Choose tender, slender asparagus if you can. Bigger stalks can often be woody. Wash well, trim the ends, then chop into pieces about an inch or so long. 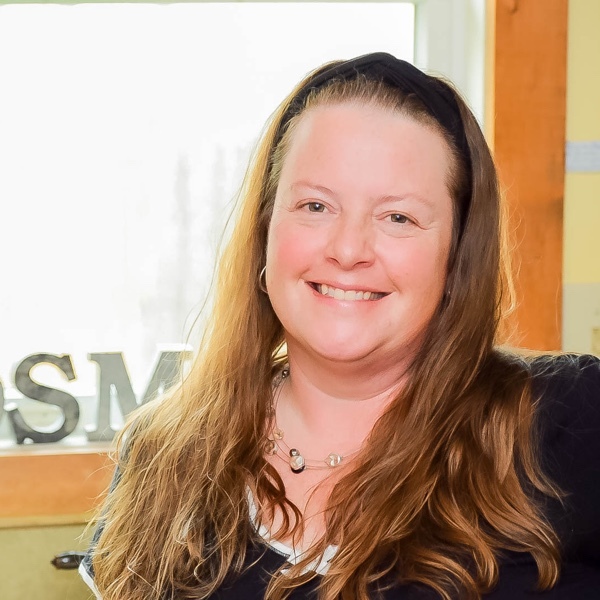 Anyone out there following Trim Healthy Mama, Keto, or Low Carb? You'll be happy to know that this egg bake is suitable for each of those diets! Cut it into 12 generous slices (in a 9″x13″ baking dish) to give you about 1.5 grams of net carbs, 10.8 grams of fat, and 8.1 grams of protein per serving. Looking for make ahead quiche recipes? 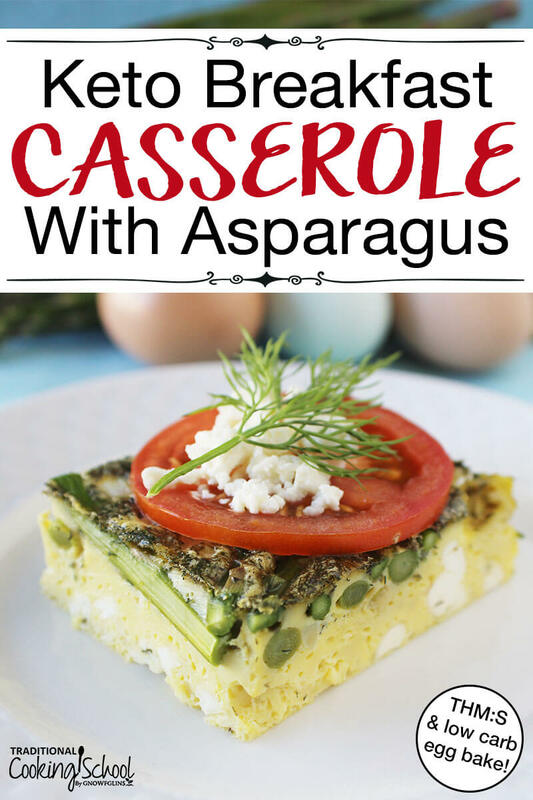 Try this easy THM:S & Keto Breakfast Casserole with dill, feta cheese, and healthy spring veggies like asparagus! Perfect for brunch on Sunday, or busy weekend mornings alike, you can't go wrong with a low carb, gluten-free egg bake. We've even eaten it for dinners with sausage and a big green salad. Bonus points if you get the kids outside for a family walk to forage wild asparagus! Grease a 9"x13" baking dish and set aside. In a mixing bowl, whisk together the eggs, cream, garlic, dill, salt, and pepper until light and frothy. Layer the asparagus, onions, and feta in the prepared baking dish. Pour egg mixture into the baking dish. If some of the vegetables move around, spread them out evenly. Bake for 45 to 50 minutes or until just set. Garnish with fresh tomato slices, reserved feta cheese, and fresh dill as desired. *This egg bake works well made ahead of time, too. Just give yourself a little extra time for baking or take it out of the refrigerator 30 minutes before you want to put it in the oven. I've not had luck getting asparagus to grow yet, though we do have some growing wild around us. We love spending a sunny spring day by going for a walk and foraging for asparagus. Coming home and making this delicious asparagus egg bake is a worthy reward! Does asparagus grow in your yard? Will you try this fresh, spring-inspired egg bake?